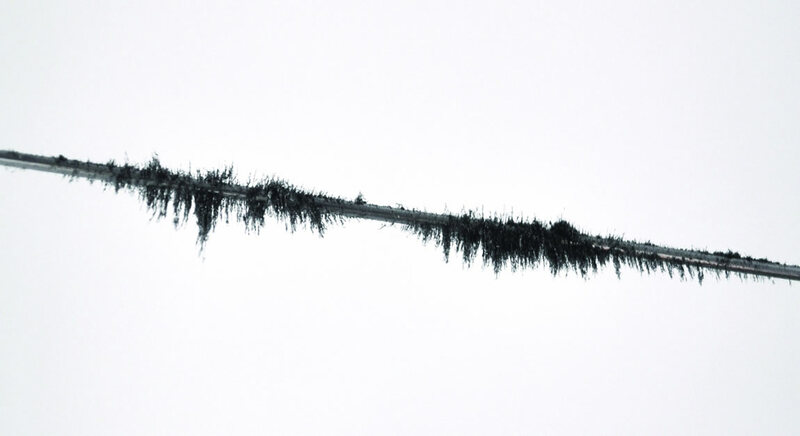 As early as 1898, Valdemar Poulsen experimented with impressing sound on wire. 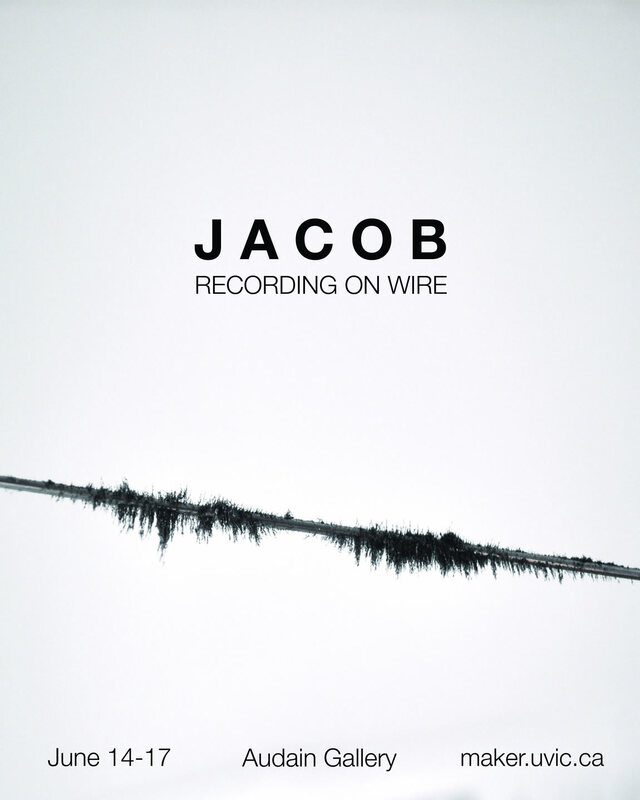 Holed up in a cabin in rural Denmark, he recorded, replayed, erased, and rerecorded the name, “Jacob.” He strung piano wire from one side of his room to the other. 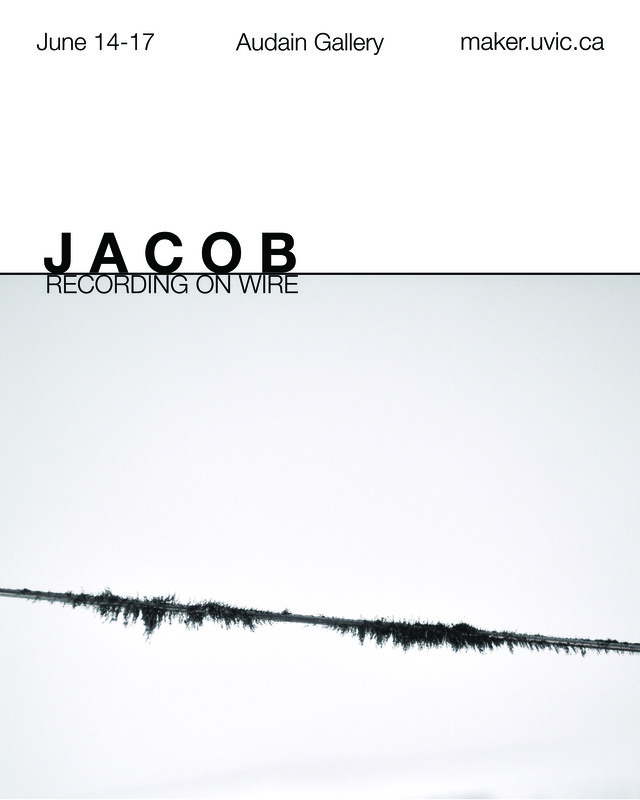 Then he ran alongside the wire with a trolley containing an electromagnet. For parts, Poulsen deconstructed a wall-mounted telephone. He magnetized wire with a telephone transmitter and used a receiver for playback. We imitated this experiment and will be exhibiting it on the UVic campus at the Audain Gallery, in the Visual Arts Building, Tuesday, June 14th through Friday, June 17th. We will be demonstrating the experiment three times that week: Tuesday, June 14th, at 12:30pm; Wednesday, June 15th, at 4:30pm; and Thursday, June 16th, at 4:30pm. Demonstrations will last approximately 30 minutes. If you have any questions about the exhibit, then please email maker@uvic.ca. Post by Danielle Morgan, attached to the KitsForCulture project, with the fabrication, news, and exhibits tags. Images and posters by Danielle Morgan.